Subaru is only building 500 of the limited edition WRX STI Type RA’s for the US, so you might never see one in person. With a carbon fiber roof, lighter forged wheels, bigger brakes, and some not-so-subtle aero tweaks, this is the most driver-focused STI that Subaru has ever sold in the US. If you want a chance to check one out in person, it looks like the 2018 Twin Cities Auto Show will be your best chance. 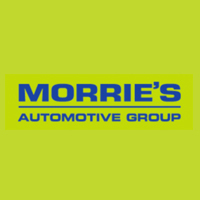 Just register with either Morrie’s Brooklyn Park Subaru or Morrie’s Minnetonka Subaru and they’ll give you a pair of complimentary tickets to the show.